TECH FIX Your Wi-Fi Security Is Probably Weak. 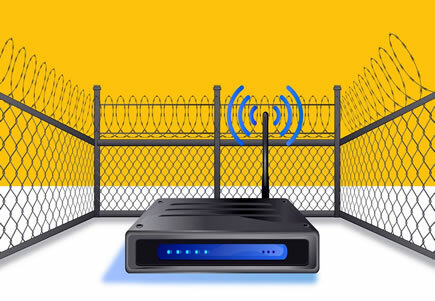 Chances are that when you bought a Wi-Fi router, you probably did not prioritize strong network security. After all, when we think about wireless connectivity in our homes, most of us generally care more about speed of data transmissions and how much range the router can cover. But it’s time to change our views. Network security needs to be high on our list of considerations because a Wi-Fi station is the gateway for devices to get on the Internet. If your router is infected with malicious software, all your Internet-connected devices become vulnerable, including your smartphone, computer, smart watch, television and Amazon Echo. A recent cyberthreat underscores the need to take network security more seriously. Last month, Cisco’s threat research arm, Talos, in collaboration with the Federal Bureau of Investigation, discovered that a malware system with links to Russia had infected hundreds of thousands of Wi-Fi routers made by popular brands like Netgear, TP-Link and Linksys. This month, Talos revealed the problem was even worse than initially thought: Routers from other brands like Asus and D-Link had also been infected. That means base stations from every well-known router brand were a target for this malware, known as VPNFilter, which is capable of manipulating your web traffic. Attackers could use it to load a fake banking site on your computer browser that looks like the one you normally use and steal your credentials and clean out your bank accounts. They could also load spoof versions of an email site you use to steal your password and gain access to your communications. Netgear, D-Link and Linksys said they advised people to install the latest security updates and to choose strong user names and passwords. TP-Link and Asus did not respond to requests for comment. Our remedy? For starters, make sure your Wi-Fi station is always running the latest version of its “firmware,” or software system, just as you are supposed to keep operating systems up-to-date for your smartphone and computer. In a 2014 survey of I.T. professionals and employees who work remotely conducted by the security firm Tripwire, only 32 percent said they knew how to update their routers with the latest firmware. “Most consumers don’t know to patch these things,” said Matt Watchinski, a senior director of Cisco Talos, who helped research the VPNFilter malware. “They don’t treat it like they do their air-conditioner or refrigerator, where we all know we should change the filters.” Here’s a guide to some of the best practices you can embrace to ensure that your router — and, by extension, all your Internet gadgets — is safe. After entering the router’s IP address into a web browser, log in to the base station with your user name and password. In the router’s web dashboard, click on the firmware settings. Look for a button that lets you check for the latest firmware version. When you log in to your router, if your user name and password are something like “admin” and “password,” you have a problem. Many Wi-Fi stations come with weak, generic passwords by default that manufacturers intend for you to change. The problem with having a weak user name and password is that anybody within range of your router could log in to it and change its settings, potentially opening it up to the outside world, said Dave Fraser, chief executive of Devicescape, a company that helps make public Wi-Fi networks more reliable for mobile phone service. So while you are checking for firmware updates in your router’s web dashboard, make sure to also check your security settings and change the user name and password to something strong and unique. Security experts recommend creating long, complex passwords consisting of nonsensical phrases and added numbers and special characters. (Examples: My fav0rite numb3r is Gr33n4782# or The cat ate the C0TT0n candy 224%.) Write down these credentials on the same piece of paper where you recorded your IP address. How did we get here in the first place? Historically, manufacturers have designed routers by cobbling together open-source software platforms with commodity components to produce base stations as cheaply as possible — with little care for long-term security, Mr. Fraser said. “It is a miserable situation, and it has been from day one,” he said. But Mr. Fraser added that there were now “new world” routers with operating systems, tougher security and thoughtful features to make network management easy. If it is time to update your router, rid yourself of some of these headaches by looking for a smarter router. Check for Wi-Fi systems that offer automatic updates to spare you the headache of having to check and download updates periodically. Many modern Wi-Fi systems include automatic updates as a feature. My favorite ones are Eero and Google WiFi, which can easily be set up through smartphone apps. The caveat is that smarter Wi-Fi systems tend to cost more than cheap routers that people are accustomed to. Eero’s base stations start at $199, and a Google WiFi station costs $119, compared with $50 for a cheap router. For both of these systems, you can also add base stations throughout the home to extend their wireless connections, creating a so-called mesh network. Another bonus? Mr. Fraser noted that more modern Wi-Fi systems should have longer life spans because the companies sometimes relied on different revenue streams, like selling subscriptions to network security services. A version of this article appears in print on June 13, 2018, on Page B6 of the New York edition with the headline: Don’t Overlook the Security of Your Wi-Fi. The U.S. Patent and Trademark Office recently granted Amazon two patents directed to remote control of human hands. The Amazon patents are able to obtain and record users' location and the detailed movements of their hands. Therefore, highly private information such as when an employee takes a bathroom break or pauses to scratch may be obtained and recorded by the patented system. That, in turn has led to concerns that the patents could violate protected privacy rights of employees under the Fourth Amendment to the U.S. Constitution. The Fourth Amendment applies to government actions, and would be implicated in a legal challenge to the Amazon patents, since patents are issued and enforced by the government. In addition, Amazon patents can run afoul of state statutes and common law privacy protections, which have adopted similar Fourth Amendment privacy standards. Article I Section 8, Clause 8 of the U.S. Constitution, also known as the Patent and Copyright Clause authorizes Congress to grant inventors and authors exclusive rights to their respective inventions and works of authorship for limited periods of time. Under current law, patents enjoy a 20-year monopoly period, backed by the power of Federal Government. The U.S. Constitution contains no express right to privacy. However, the Supreme Court, in numerous decisions since the 1920s, has relied on the Bill of Rights to carve out certain rights based on privacy considerations. These carved out rights include privacy of a person's freedom from unreasonable search and seizure under the Fourth Amendment. 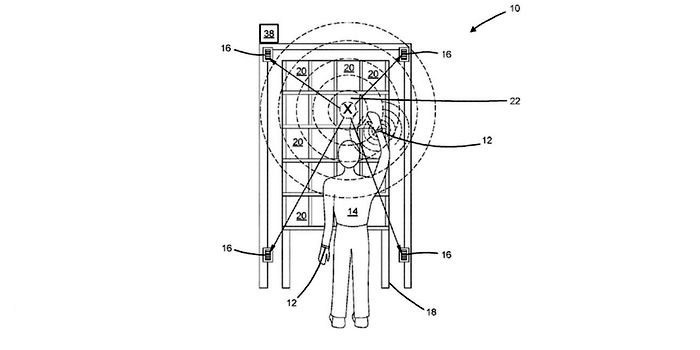 The Amazon patents describe a system and mechanism for tracking and guiding workers' hands relative to the position of inventory storage bins. The stated aim of the patents is to improve the efficiency of inventory management system by making it faster and easier for workers to accurately locate the bins in which items are stored and retrieve ordered items from them. The Amazon patents criticize existing processes for keeping track of inventory bin locations as uneconomical and inefficient, and find proposed improvements in the form of a computer vision apparatus to track location of inventory bins inadequate as cumbersome and costly. Instead, the patents propose a system that uses ultrasonic communication to track employee hand movements by sending ultrasonic pulses at predetermined intervals to the worker's wristband in order to keep track of the relative positions of the worker's hands and the target inventory storage bins. The patented system directs the worker's hands toward the correct bin by sending a pulse to alert the worker when the worker's hands are in close proximity to a target bin. Amazon has dismissed potential privacy concerns raised by the implementation of its patents as "speculation" and "misguided." In a released statement, Amazon analogized its proposed wristband system to handheld scanners, which are in widespread use for checking inventory and for fulfilling customer orders. According to the company, the wristbands and their accompanying mechanism improve efficiency by freeing up employees' "hands from scanners and their eyes from computer screens." The debate regarding the trade-off between privacy and efficiency at workplace is not new. Common worker monitoring techniques, including cameras, employer monitoring and access to employee emails and Internet browsing, have been around since the 1990s. However, such concerns have come into renewed focus with the Amazon patents as they potentially cross the currently prevalent arena of surveillance and monitoring of employees into the uncharted territory of directing and even physical control of employees. The question regarding the Amazon patents is whether they will pass muster in the face of likely challenges to their constitutionality. Challenges to patents duly issued by the U.S. Patent and Trademark Office (USPTO) are not new. Back in 2013, the Supreme Court found genes to be not eligible for patent protection. As noted above, because implementation of the Amazon patents in the workplace would involve obtaining potentially private information from employees, they would likely raise concerns about violation of workers' constitutionally protected privacy rights. Amazon, in turn, has downplayed such concerns and has instead tried to focus the debate on the enhanced efficiency resulting from the introduction of its patented technology. The U.S. Supreme Court has identified certain factors that courts must consider in determining whether employer monitoring of employees and obtaining information from them passes legal muster. In City of Ontario v. Quon, the Supreme Court affirmed that workers do enjoy Fourth Amendment rights in their workplace to guarantee their "privacy, dignity and security of persons against certain arbitrary and invasive acts" by the government as an employer. Factors, identified in City of Ontario, which courts are to consider in determining the permissible scope of employer intrusion on its employee's Fourth Amendment rights include: 1. whether the employee has a reasonable expectation of privacy in the information obtained; 2. whether the employer has a legitimate work-related rationale for the intrusion; 3. whether the intrusion is reasonable in scope; 4. availability of less intrusive means to achieve the same purpose; and 5. public acceptance of the conduct. 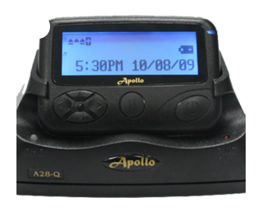 In City of Ontario, the city had provided its employees with pagers which were used to send and receive text messages to allow employees to be contacted in the event of an emergency. The city's employee policy manual made clear that the city had the right to access and monitor communications to and from the city issued pagers and that employers should not have any expectation of privacy or confidentiality in using the pagers. When Jeff Quon, a city employee with a city-issued pager, repeatedly exceeded the monthly character limit for use of his pager, the city ordered an audit of his communications to determine if the usage was work related. In conducting the review, the city discovered that most of the messages sent by Quon were not work related but were personal and many were of sexually explicit nature, and proceeded to implement disciplinary measures against Quon. Quon responded by filing suit against the city for violating his Fourth Amendment rights. Discussing the particular facts and circumstances of the case, the Supreme Court allowed for a certain extent of privacy in communications on the pagers provided by the city but concluded that expecting complete privacy would not be reasonable since Quon had been informed of the potential auditing of his messages and that his position as a law enforcement officer indicated his likely awareness of scrutiny of his actions and that such scrutiny may involve examination of his communications during the work hours. Next, the Supreme Court concluded that the search of Quon's messages was motivated by a proper purpose, that it was tailored to the problem at hand and had been reasonable in scope. The Court did not give much weight to the availability of less intrusive methods by the city to achieve the same goal. With respect to the Amazon patents, the question before the courts will be whether the additional intrusive step of controlling and directing an employee is justified by the expected incremental improvement in efficiency and productivity resulting from the patents. In the long run, the answer may lie in the public's acceptance of the trade-off between efficiency and privacy in response to new technology. Dr. Dariush Adli, Ph.D., Esq., is the founder and president of ADLI Law Group. His practice focuses on business and intellectual property litigation, media and entertainment, real estate, products liability, family law, labor and employment, and transportation law. 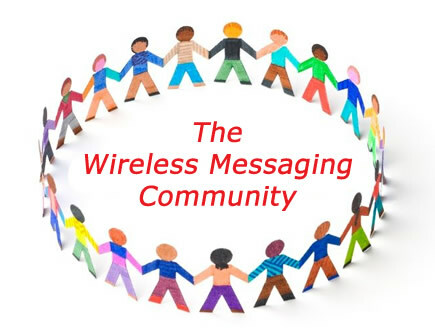 Herndon, VA – In a letter submitted yesterday, the Land Mobile Communications Council (LMCC) asked Federal Communications Commission (FCC) Commissioner Michael O’Rielly to help eliminate the sale of non-compliant radio devices distributed by eBay, Inc., and Amazon.com, Inc., a virtual identical effort that Commissioner O’Rielly is pursuing with these same companies concerning the sales of TV set-top boxes that do not meet the Commission’s equipment authorization requirements or falsely claim that they have been certified by the agency. Redmond, Wash, June 14, 2018 — Zetron, a global leader in integrated mission critical communications technology, today announced its unique capability to deliver end-to-end communications in a fully standards-compliant lifecycle, from NG9-1-1, into the command and control center, and out to FirstNet. This enables public safety answering points (PSAPs) on Next Generation 9-1-1 (NG9-1-1) networks to receive and handle emergency communications beyond just voice. MAX Call Taking now supports fully integrated VoIP, Text To 9-1-1, robust location services, and mapping technologies. And earlier this year, Zetron announced its MAX Dispatch and ACOM Command & Control systems are FirstNet Ready. These systems have long supported core voice communication standards, including Project 25 (P25), Digital Mobile Radio (DMR), and Terrestrial Trunked Radio (TETRA). MAX Systems also support network-integrated, broadband Push-To-Talk (PTT) interoperability with three of the four largest US cellular carriers, as well as interoperability with over-the-top PTT solutions, such as ESChat. Both MAX Dispatch and ACOM systems are also ready for IOC-1, pre-MCPTT integration with FirstNet, and are field-upgradable for future 3GPP Mission Critical PTT (MCPTT) interworking. For more information on Zetron’s integrated suite of mission critical standards-compliant communications solutions, visit www.zetron.com. NATE unveiled a video entitled “Look out Below” that focuses on the risks associated with dropped objects and provides safety guidance on preventing these scenarios while working at elevation on a communications structure. The video is the fourth in Volume 3 of the Association’s popular Climber Connection series. The video includes personal anecdotes and experiences from a tower technician on measures that can be implemented by elevated workers to prevent dropped objects. The video also portrays a live demonstration of the impact a dropped tool can make when it falls to the ground at a tower site. NATE encourages tower technicians and industry stakeholders to actively participate in this campaign by posting the video on their respective social networking platforms using the hashtag #ClimberConnection. On June 11, the FCC’s transparency requirements, which were adopted as a part of the Order repealing Net Neutrality rules, went into effect. Per these requirements, Internet service providers must publicly disclose information regarding their network management practices, performance, and commercial terms of service. These disclosures must be made via a publicly available, easily accessible company website or through the FCC’s website. Carriers with questions about these requirements should contact the firm for more information. On June 7, the FCC adopted an Order granting a petition filed by NTCA—The Rural Broadband Association (NTCA) and the United States Telecom Association (USTelecom) (collectively, Petitioners) for forbearance from the application of Universal Service Fund (USF) contribution requirements to broadband Internet access transmission services provided by rural incumbent local exchange carriers (rural LECs). The Order is effective immediately. In the Order, the FCC found that it has consistently declined to impose USF contribution obligations on retail broadband Internet access service, and therefore found that requiring a subset of rural LECs that provision a component of that service as a common-carriage offering to comply with our legacy rate-of-return rules is not “necessary” to ensure that the rural LECs’ charges or practices in connection with this service are “just and reasonable.” On the contrary, the FCC held that such obligation on a limited group of rural providers of this service is in itself “unreasonably discriminatory” because it raises the prices for consumers in rural areas served by small carriers. The FCC also found no evidence that enforcement of USF contribution requirements on rural LEC-provided broadband Internet access transmission services offered on a common-carrier basis (but not any other input to broadband Internet access service nor that same input when provided by other carriers) served any significant consumer protection purpose. Rather, the FCC found that such enforcement negatively impacts customers of those rural LECs by effectively requiring them, but not other broadband consumers, to bear additional costs. On June 7, the FCC adopted all eight items under consideration. Summaries of each item are set out below, along with links to the final documents. Wireline Infrastructure: a Second Report and Order that will revise the FCC’s section 214(a) discontinuance processes, network change disclosure processes, and Part 68 customer notification process to remove barriers to infrastructure investment and promote broadband deployment. (WC Docket No. 17-84). Prior to the meeting the FCC considered and adopted — and thus removed from the agenda — the following items: Audacy satellite authorization, O3b market access grant, improving intercarrier compensation to eliminate access arbitrage, and the Enforcement Bureau action against HobbyKing. On June 6, Chairman Ajit Pai announced that that he has circulated a draft order to the other Commissioners that would take immediate action to increase funding for the Universal Service Fund’s Rural Health Care Program. Specifically, Chairman Pai’s proposal would increase the program’s current annual funding cap from $400 million to $571 million. According to a Press Release, this increase represents what the funding level would be today had the cap established in 1997 included an inflation adjustment. The order would apply the increased cap to the current funding year. The order would also allow unused funds from prior years to be carried forward to future years. This money will help health care providers get the connectivity they need to better serve patients throughout rural America. Demand for funding has been outpacing the program’s funding cap, so I also believe that the increased cap should apply to the current funding year so that rural health care providers can be fully reimbursed. This is an important step to allow these providers to continue offering critical telemedicine services in their rural communities. Health care has become increasingly reliant on connectivity over the past two decades, and this proposal reflects the need to keep pace with this evolution. I hope my colleagues will support my plan without delay. The FCC has recently adopted a Notice of Proposed Rulemaking (NPRM) that seeks to update the framework for licensing Educational Broadband Service (EBS) spectrum in the 2.5 GHz band, and that could create new opportunities for our firm’s clients. In brief, the NPRM proposes to provide greater flexibility to existing EBS licensees, and to use competitive bidding to award licenses for areas where the EBS spectrum is not currently in use. Since much of the unused EBS spectrum is in rural areas, the forthcoming auction could provide an opportunity for our clients to obtain unused 2.5 GHz spectrum for the provision of next generation wireless broadband, including 5G. Federal Register publication sets comments due Monday, July 9, 2018; and reply comments due August 6, 2018. 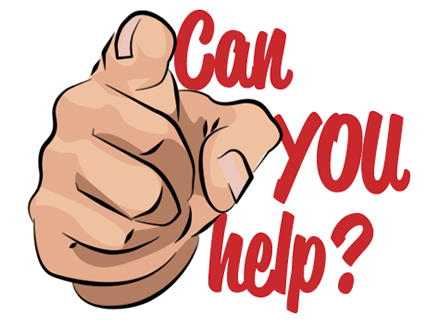 Clients interested in participating in comments should contact us, especially if you can share any input about 5G spectrum needs and acquisition efforts that can help us shape rules that will be advantageous for rural providers. The 2.5 GHz band (2496-2690 MHz) constitutes the single largest band of contiguous spectrum below 3 gigahertz and is prime spectrum for next generation mobile (e.g., 5G) operations. The band includes 80 megahertz of spectrum allocated to the Broadband Radio Service (BRS), a radio service that was previously known as MDS and MMDS and licensed for multichannel video and later wireless broadband service, and 114 megahertz of EBS, a service that was previously known as Instructional Television Fixed Service (ITFS) and is licensed primarily to public and private educational institutions and nonprofit organizations whose purposes are educational. Since 1983 the Commission has allowed EBS licensees to lease their excess capacity to commercial providers, but it has required EBS licensees to retain five percent of their capacity for educational use, and that they use each channel at least 20 hours per week for educational purposes. The FCC proposes and seeks comment on a number of steps to encourage and facilitate more efficient use of the EBS spectrum. First, given the irregularity of current EBS geographic service areas (as well as outdated regulatory requirements), the Commission proposes to rationalize existing EBS holdings so that existing licensees have new opportunities to put 2.5 GHz spectrum to its highest and best use. Second, the Commission seeks comment on whether to open one or more local priority filing windows so that existing licensees, Tribal Nations, and educational entities could get access to unassigned spectrum in the 2.5 GHz band. Third, the Commission proposes to use geographic area licensing to assign any remaining spectrum, which may result in the auction of any licenses for 2.5 GHz spectrum still unassigned after rationalizing holdings and any new filing windows. Finally, the Commission seeks comment on additional approaches for transforming the 2.5 GHz band, including by moving directly to an auction for some or all of the spectrum. The ideas teed up in the NPRM seek to allow more efficient and effective use of this spectrum band and to provide new opportunities for EBS eligible entities, rural Tribal Nations, and commercial entities to obtain unused 2.5 GHz spectrum to facilitate improved access to next generation wireless broadband, including 5G. The rules that this resolution would restore were enacted by the FCC in 2015 to prevent broadband providers from blocking, slowing down, prioritizing, or otherwise unfairly discriminating against Internet traffic that flows across their networks. Without these protections, broadband providers can decide what content gets through to consumers at what speeds and could use this power to discriminate against their competitors or other content. Under this new regime, the Internet would no longer be a level playing field. Instead, big corporations who could pay would enjoy the benefits of a fast lane and speedy delivery of their content to consumers while those who could not pay these tolls — such as startups and small businesses, schools, rural Americans, and communities of color — would be disadvantaged. As we reported in a previous edition of the BloostonLaw Telecom Update, the repeal became effective on June 11, 2018. 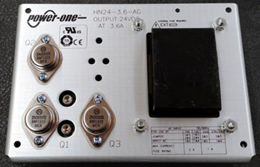 To prevent interference to authorized users of the bands where they operate, white space devices must include a geo-location capability and the capability to access a database that identifies incumbent uses entitled to interference protection, including, for example, full power and low power TV stations, broadcast auxiliary point-to-point facilities, PLMRS/CMRS operations on channels 14-20, and the Offshore Radiotelephone Service. The database is also used to register the locations of fixed white space devices and the protected locations and channels of incumbent services (including licensed wireless microphone and 600 MHz wireless service band operations) that are not otherwise recorded in FCC databases. The database indicates to a white space device which frequencies are available for use at its location. The FCC can designate one or more entities to administer a white space database. At the beginning of this designation process in 2009, it issued a public notice inviting interested entities to apply. After reviewing the database administrator proposals and comments received in response to the public notice, OET designated all of the responding entities as white space database administrators. On November 16, 2017, Nominet filed a proposal with OET seeking designation as a white space database administrator. Nominet’s proposal provided the information requested by OET’s 2009 public notice that invited proposals from parties seeking to be designated as white space database administrators. On June 12, US District Court Judge Richard Leon ruled that the merger of AT&T and Time Warner can proceed, finding that the Department of Justice had not met its burden of proof that the effect of the combination would be to “substantially to lessen competition” in violation of Section 7 of the Clayton Act. CNBC reports that the judge did not impose conditions on the merger's approval, and also urged the government not to seek a stay when issuing his decision in a closed-door room with reporters. “We continue to believe that the pay-TV market will be less competitive and less innovative as a result of the proposed merger between AT&T and Time Warner. We will closely review the Court's opinion and consider next steps in light of our commitment to preserving competition for the benefit of American consumers,” Assistant Attorney General Makan Delrahim said in a statement. On June 6, FCC Commissioner Mignon Clyburn issued her closing statement as she steps down from her seat on the FCC. “I want to begin by thanking President Barack Obama for nominating me, in 2009, to become a member of the Federal Communications Commission. Although humbled by the honor, I had no idea, then, how much this agency would mean to me,” she said. Her statement, which can be found here, went on to recount a number of decisions she supported (including Title II classification for broadband, Lifeline reform, inmate calling reform, and 700 MHz interoperability). She also recounted a number of decisions she “wish[ed] came out differently” (including the repeal of Title II classification for broadband, repeal of media consolidation rules, and the reinstatement of the UHF discount). This novel idea, that the Federal Communications Commission is empowered to make sure that all people in the United States have access to affordable, world-class communications services, is one that is timeless and is at the heart of the Commission’s goals to provide “universal service” across this country. Like you, I know the power of this agency. I have witnessed for nearly nine years how much it can do. This is a consequential agency that has the ability, or dare I say the mandate, to take on, head first, those challenges that impact every single part of the U.S. economy. On my trips around the country, I saw where the policies we put in place are making a real difference in peoples’ lives and what is clear is this: that this agency can either be an enabler of opportunities or it can stifle opportunities. I have seen firsthand where our policies have done much good, but I have also witnessed where inaction or bad decisions have created undue hardship. Fulfilling these obligations requires the Commission to strike a sometimes difficult-to-achieve balance between making sure that consumers are protected and trying not to get in the way of market-driven innovation—but at the end of the day, the public interest must be served. 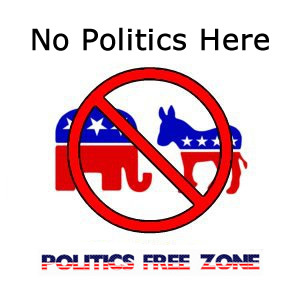 That is non-negotiable. As reported in a previous edition of the BloostonLaw Telecom Update, President Trump has tapped Geoffrey Starks to take Commissioner Clyburn’s seat. If you are sending text messages to cell phones via email, email-to-text, or using the email address of the phone and experiencing message receipt delays or missing messages all together, that can be a result of the cell carriers and or Internet service providers (ISPs) SPAM filters mistaking your messages as spam. ISPs and wireless providers constantly upgrade their SPAM filters to try and eliminate abusive messaging. The InfoRad Messaging Gateway available in the InfoRad v10.4.2 software can resolve delayed or missing message issues thus greatly increasing the reliability of cell phone text messaging compared to using ‘email-to-text’ service. 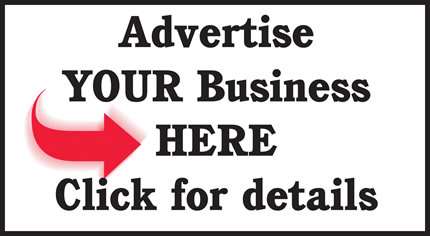 The InfoRad Messaging Gateway provides enterprise level connectivity to all the cell carrier service providers with only needing to know the cell phones 10 digit phone number. Alternately, some carriers offer enterprise level messaging which also provides more reliable messaging. Usually there are additional fees associated and or require individual registration of each phone to use their enterprise level messaging service. Typically each carrier or service plans are different. 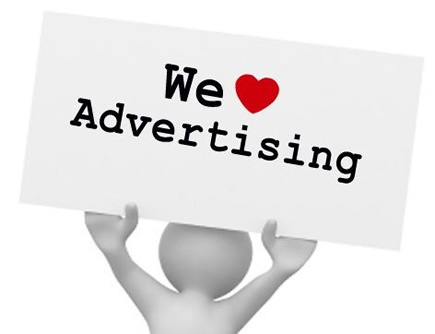 Please feel free to contact us with any questions on the InfoRad Messaging Gateway and to activate your free / no obligation 30-day/1000 message trial. I read your quotations about poverty with interest. I just finished a bike ride across north Georgia where I was face to face with rural poverty. It is a disgrace that a country as wealthy as the US has many, many counties where the childhood poverty rate is over 25%. And in this case it is not an issue of discrimination. These are counties that are 90% white. There are no easy answers, but making the super-rich even richer is not one of them. 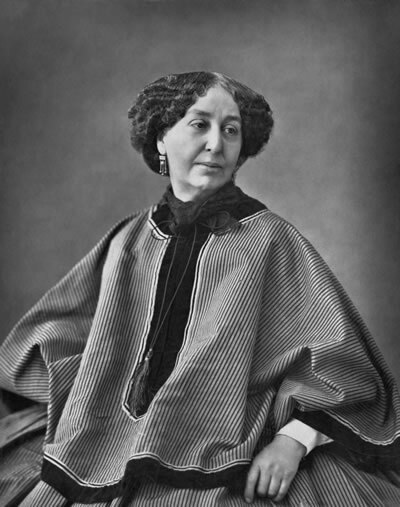 Amantine Lucile Dupin, best known by her nom de plume George Sand, was a French novelist and memoirist.